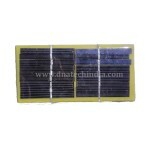 Purchase online 3 Volt 100mA Solar Panel in India at low cost from DNA Technology. This is a high efficient solar panel. It can output 100 mA of current at 3 Volts under ideal light conditions. It is 6 cm x 5 cm in size . 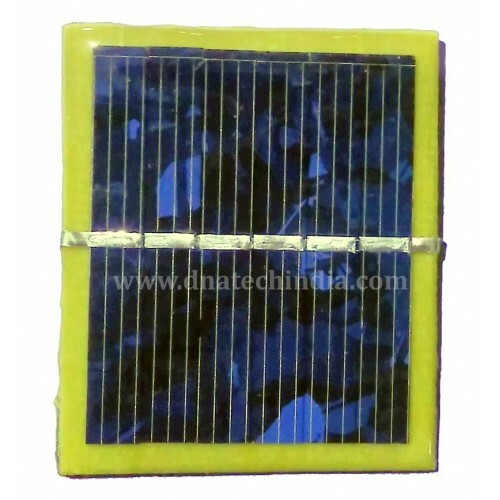 Can be used in low cost solar projects. 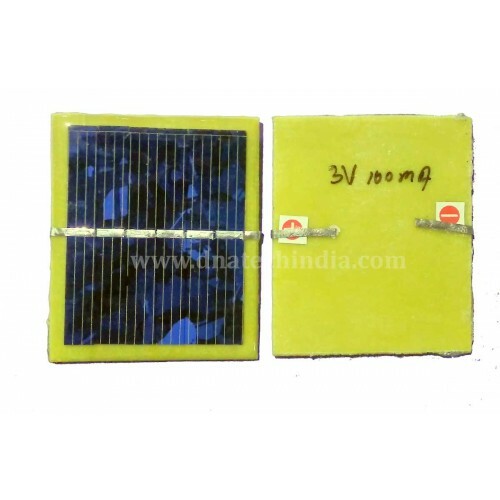 You can connect 4 such solar panel in series and get 12 Volt output or you can connect them in parallel and get more current. 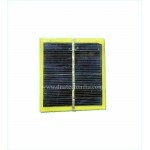 Solar Panel 4 Volt 100mAThis is a high efficient solar panel. It can output 100 mA of.. 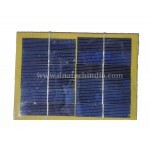 Solar Panel 6V 300mAThis is a high efficient solar panel. It can output 300 mA o..